All About You: Lending a helping hand. This week's meeting was filled with good news as we looked back at everything we have learned in the month of August. Some women who attend our meetings shared how their lives were changed for the better when they chose to apply what they learned in our meetings. Watch as Sibon shares how, after she learned the difference between a fantasy and a real dream, she managed to bring to existence a dream of going to gain work experience at a law firm in New York. We finalised our meeting with another important lesson. We live in a culture of self-help. It is common nowadays for people to invest in themselves by reading books, listening to motivational tapes or even participating in meetings such as ours. This is by no means a bad thing, as this is how we develop as people. But, in focusing on receiving help for ourselves, we can sometimes tend to forget that there are others around us, who may need our help. Helping and sharing with others is an important part of our development as human beings. Who has never had to hear from his or her parents about the need to share one's toys? This is because we are born with a nature that is self-absorbed. We can easily become the centre of our own worlds, and forget that others exist around us. This week we encouraged the women who were present to take what they receive in our meetings and extend it to others. One word of encouragement that you share with someone could mean the difference between life and death. Have you been paying attention to your neighbours, work colleagues or distant relatives? Instead of keeping your distance, why not get to know them better, so you may be available for them, should they need help? Be a positive part of their story! Our friendly advisers are always available to talk to you, should you need a listening ear. 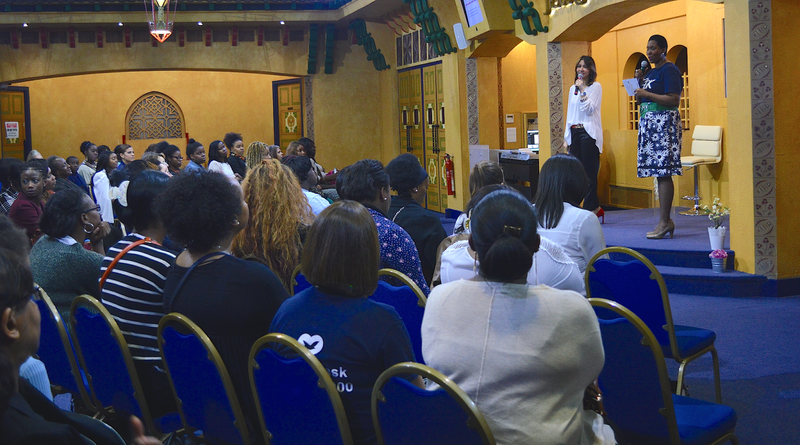 Book an appointment with one of us by contacting us on rahab@uckg.org. Do not suffer in silence! It's so easy to stay distant from distant relatives, and friends I've not seen in a while. I am guilty of that. Interestingly enough, before reading this post l contacted a few relatives, a neighbour and friends to wish them a prosperous&abundant September.